As sung by Johnny Roach. 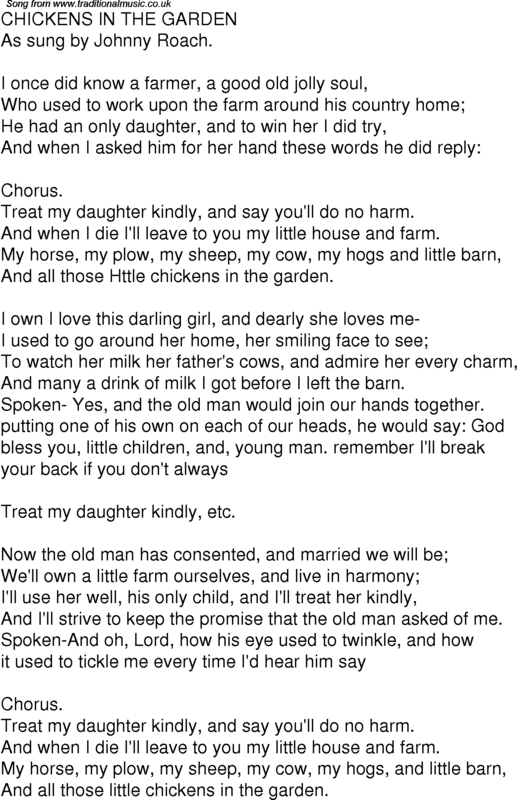 Treat my daughter kindly, and say you'll do no harm. And when I die I'll leave to you my little house and farm. And all those Httle chickens in the garden. And many a drink of milk I got before I left the barn. Spoken- Yes, and the old man would join our hands together. Treat my daughter kindly, etc. And I'll strive to keep the promise that the old man asked of me. And all those little chickens in the garden.